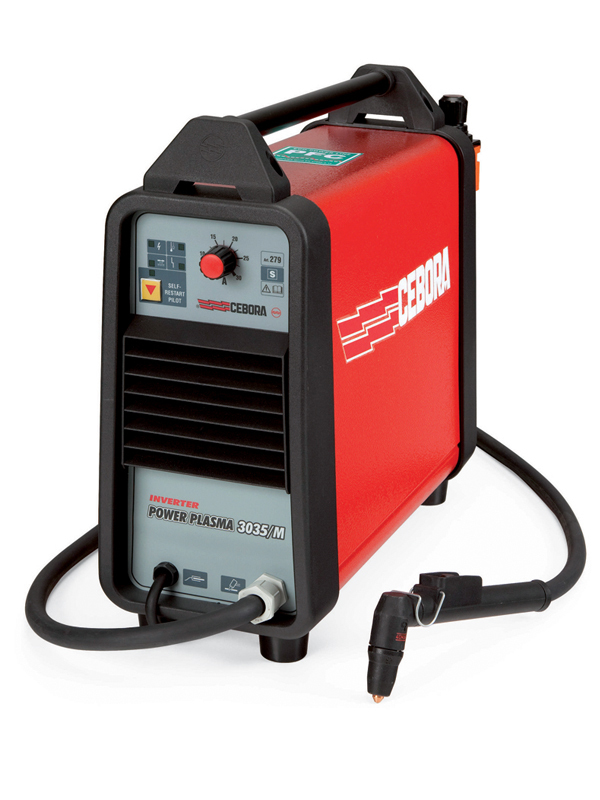 • Runs on 110 volts or 220 volts, Inverter technology, 5 to 30 amp out-put power, runs on clean shop air. • Cuts out spot welds. Allows for cutting of overlapping panels without damaging the bottom panel. • Safely used in the vicinity of electronic equipment such as computers, etc. • Capable of cutting any metal: boron steel, steel, stainless, copper, brass, aluminum, painted metals, rusted metal and coated metals up to 3/8 cleanly, sever ½. Self-start for cutting screens. • Built in air regulator, 13 ft. torch, and weighs just 28 lbs.